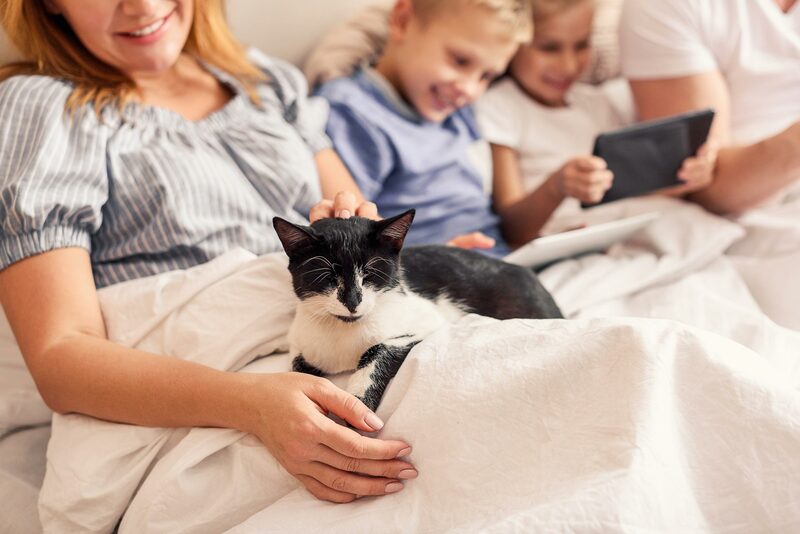 More than 68% of Americans have at least one dog or a cat in their household. That adds up to about 78 million dogs and 85.8 million cats in the United States alone. All those animals eat a lot of food. And because they are omnivores and carnivores, their diet isn’t mainly comprised of beans and salad. Most of what they eat is meat. And they eat a lot of it. In fact, nearly 1/3 of the animal products consumed in the United States go not to humans, but rather, to their pets. If America’s dogs and cats were their own country, they’d rank fifth in global meat consumption, behind only the United States, China, Russia, and Brazil. In a poignant irony for animal lovers everywhere, the dogs and cats we cherish are eating food that, more often than not, comes from factory farms in which cows, pigs, chickens and other livestock were raised with almost unimaginable cruelty. All this factory-farmed meat has a serious impact on the environment. 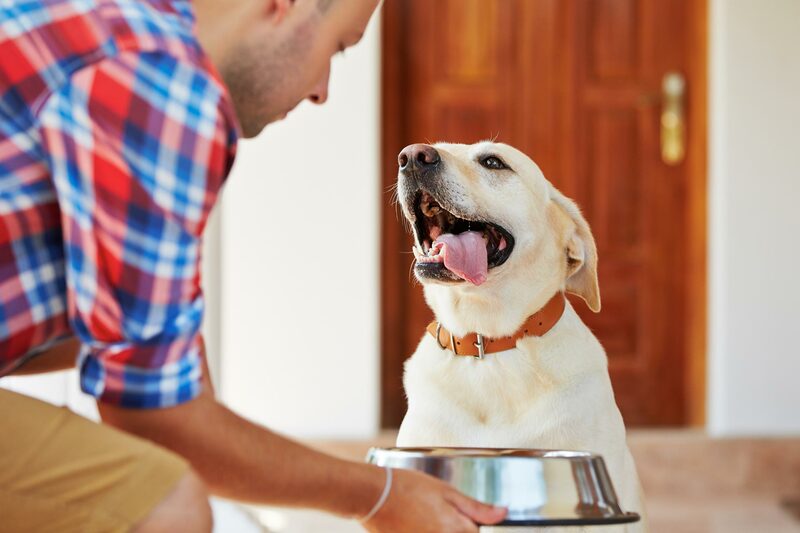 In a study in the journal PLOS One, UCLA geography professor Gregory Okin concluded that through their diet, America’s pets are responsible for more than 25% of the nation’s total environmental impacts from animal production. They drive a substantial share of overall use of land, water, fossil fuel, phosphate, and biocides. 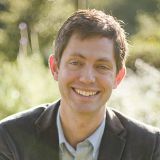 And according to Dr. Okin, meat consumption by dogs and cats fuels the release of 64 million tons of carbon dioxide emissions each year — and has a meaningful impact on climate change. 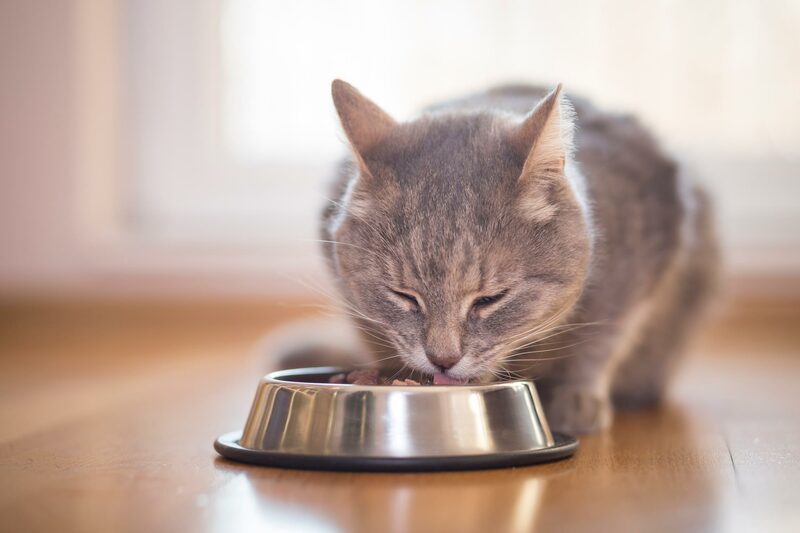 On the other hand, much of the meat used in pet food comes from rendered by-products — parts of animals that aren’t used for human food. This includes bones, organs, blood, trimmings, connective tissue, feathers, and other parts that many humans don’t want to eat. It also includes animals that died before slaughter. Some people call this “recycling,” while others call it disgusting. While there is considerable disagreement about what would happen to these rendered by-products if they weren’t fed to pets, it’s clear that not all of them would end up in the human food chain. So the net impact of the animal products that wind up in pet food is less than it could appear on a volume basis. 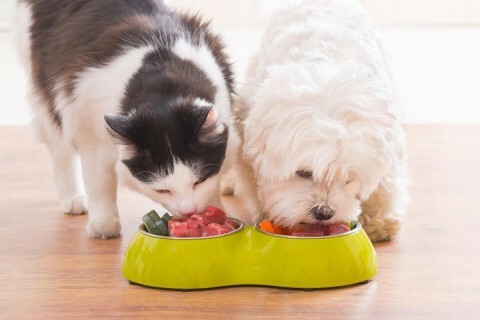 Can Dogs and Cats Be Vegetarian or Vegan? Some dog and cat owners try to respond to all this by making their furry friends into vegetarians or vegans. And for dogs, this can sometimes work. Bramble was a British border collie whose vegan diet of rice, lentils, and organic vegetables earned her consideration by the Guinness Book of World Records as one of the world’s oldest living dogs. She lived to the ripe old age of 27. Even if dogs don’t go fully veg, some can do well on a mostly plant-based diet. Dr. Joel Fuhrman suggests that it’s best to raise dogs on a nutrient-dense diet that includes at least 70% whole plant foods. While some dogs may thrive on a plant-based diet, many leading vets believe that the optimal diet for healthy hounds is based mostly on animal products. Whatever controversy there may be about meat in the world of canines, there isn’t much when it comes to cats. They are obligate carnivores. Unless they’re given very careful supplementation, most vets will agree that cats need meat to survive. I grew up in a vegetarian family that was passionate about being kind to animals. We had cats (or perhaps more accurately, cats had us), and they pretty well ruled the house. We loved them with all our hearts, and yet we struggled with the ethical implications of feeding them meat. When I was in my teens, my mom, dad, and I were thrilled to discover a supplement, called “vegi-cat” that was purported to enable our feline companions to thrive on a vegan diet. It came with recipes for homemade cat food. We got to work preparing the recipes and offered them, with the supplement, to our beloved rescue cats, Brownie and Princess. They weren’t having it. No matter how many hours we spent toiling at the stove, and whether we served them zucchini with rice or toasted yeast over grilled garbanzos, the result was always the same. We’d proudly deliver a meal, only to watch our sweet kitties wrinkle their noses in disgust and haunt us with a piercing mew of complaint that evoked in us a deep and growing sense of guilt. In a battle of wills, we figured we had the upper hand. Hunger would win out eventually, and Brownie and Princess be forced to settle for our plant-based offerings. But we were wrong. On day three of what had become a hunger strike, Princess brought home a small bird and proceeded to chase it around the house, spreading feathers everywhere. My mom caught the poor bird with a towel and set it free. The next day we awoke to find the remains of a dead bunny in the middle of our living room floor. Princess sat nearby with a contented look on her face, taking a leisurely morning bath. We caved. The cats won. And from that day to the end of their 15+year-long lives, they each got their share of organic, meat-based cat food. Some things in life seem to be black and white. But most are shades of gray, or are, in fact, full of color. Few things are given to simple right and wrong answers. And to my eyes, the choice to have, or not have, pets is one place where the paradoxes of life come into full color. Let’s suppose you want a more ethical world in which animals are treated with respect and free from cruelty. Doesn’t it seem likely that when people have companion animals in their lives, they’re apt to be more sensitive to the well-being of other non-humans, including pigs, chickens, and cows — and perhaps more likely to support bans on factory farms? At the same time, our dogs and cats may need to eat those same pigs, chickens, and cows to survive. And house cats kill more than a billion wild birds every year. Let’s suppose you want you and your family to be healthy. Many studies tell us that animal companions bring more love, and better health outcomes, into family systems. And yet at the same time, their diet can have a significant environmental impact that, ultimately, could impact the health of our very planet itself. There aren’t easy answers here. Each of us must decide for ourselves what pathway feels best for our integrity and well-being. But I’ll tell you one thing: If you feed your animals the equivalent of the Standard American Diet, they’re going to get the Standard American diseases. Every year, 6 million dogs and 6 million cats are diagnosed with cancer in the United States alone. If you’re going to have an animal companion, you’re taking ultimate responsibility for their health. They depend on you to cherish their life, to treat them well, and to feed them well. If you’re going to take in companion animals and if you’re going to feed them meat, then it matters a great deal where that meat comes from. Words like organic, pasture-raised, and grass-fed are more than marketing slogans on packages. They could have a profound impact on your furry friend’s long-term health, and also on the future of our planet. Want to know more about how to provide the best possible care to animal companions? The Truth About Pet Cancer is about to release a powerful 7-episode docuseries. In it, veterinary oncologists, holistic veterinarians, and animal health specialists will reveal the natural treatments and therapies that are helping dogs and cats to thrive — and saving them from cancer. You can sign up to watch it for free here.